Inside Peace follows Trinidad, David and Jake for four years from their time in prison to their return to the outside world. They begin to drop their tough facades and transform the way they interact with people as they put their lives back together from the inside out. The DVD is 57-minutes long and is the same version being broadcast on PBS television stations. The personal version is intended for private showing only. 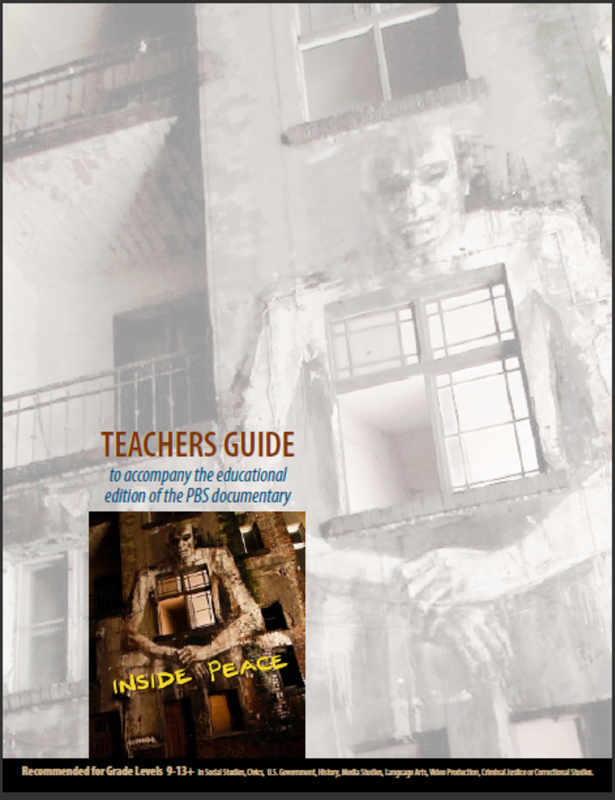 The educational version of the “Inside Peace” DVD, includes special licensing for group presentations, discussion topics, and access to 21-page (downloadable PDF) comprehensive classroom guide. Select either version for more details and to make a purchase.